We do ourselves irreparable harm when we make Israel our surrogate synagogue. The task of the historian is to allow the voices of the suffering to be heard, particularly by their children, who while venerating their oppressed ancestors, tend to ignore their cries by persecuting others…empowerment is possible but those who are empowered must bear in mind that solidarity with those suffering in the present is the only link with suffering in the past. The Presbyterian Church in the USA at its general assembly in Detroit voted to divest from three companies doing business in the illegal occupied territories. The sustainability of Israel as a homeland for the Jewish people has always been dependent on its ability to deliver justice to the Palestinians. I know firsthand that Israel has created an apartheid reality within its borders and through its occupation. The parallels to my own beloved South Africa are painfully stark indeed. One understands that all churches tread very softly when Israel is concerned so they worked hard on the issue and narrowly passed the motion. No doubt but it would be a painful message I would have to to deliver to my alcoholic brother (if I had one). ”Look, bro, this has to stop. Your behaviour is destructive.” Is this love or hate? This has been a longtime, tired tactic. Label any critic of Israel an antisemite. 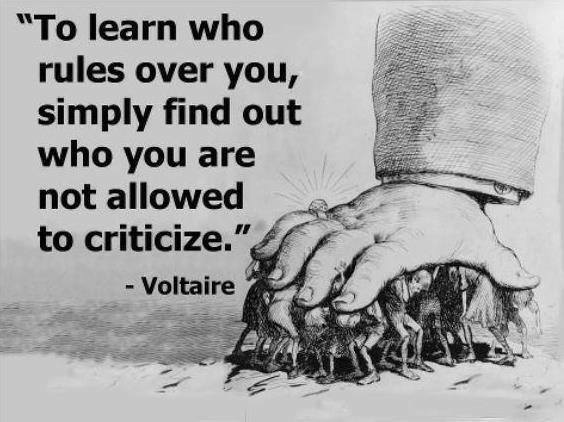 The purpose of course is to silence principled criticism. The shocker was that 1,700 putative leaders of Reform Judaism signed an open letter which opposed the resolution. This is the sad state that Reform Judaism has come to—apologizing and justifying the expansionist and colonialist policies of Israel, its patent injustice over decades to another people on the land which wad stolen from them. Dispossession and humiliation, the daily portion for Palestinians. These rabbis all know the admonition from Torah “Tzedek, tzedek, tirdof—Justice, Justice you shall pursue. Deut 16:20. Are they that deaf and blind? Are they actually justifying the flaunting of international law and the ethnocentric oppression of one people over another. Has Jewish nationalism trumped the universal cry for justice? Are these religious leaders actually conflating Zionism with Judaism? Zionism was a colonialist ideology. Judaism is a great world religion with high ethical ideals, a rich history of justice rapidly being suborned by blind adherence to the terrible policies of a secular state. The problem of course is not simply that of Judaism. The neoconservative movement of the last 40 years has had a deleterious effect on Catholicism and Christianity. In due time i will deal with this but our focus here is shock at the loss of prophecy in the Jewish community. In 1982, the New Jewish Agenda (NJA) was a counterpoint to religious neoconservatism among jews. The NJA stated at that time” Our history and tradition inspire us. Jewish teachings can address the social, economic and political issues of our time. Many of us find our inspiration in our people’s historical resistance to oppression and from the Jewish presence at the forefront of movements for social change. Many of us base our convictions on the religious concept of tikkun olam(the just ordering of human society and the world) and the prophetic tradition of social justice….Survival is only a precondition of Jewish life, not its purpose .Our agenda must be determined by our ethics not our enemies. A Jewish state governed by Biblical values or a garrison state characterized by chauvinism, institutionalized injustice and xenophobia. All of Eretz Israel at the price of repressing the political freedom over 1 million Palestinian Arabs. And here we are today in a state of lamentable incomprehension as 1,700 rabbis seemingly are turning their backs on their prophetic tradition. Often we know that the prophetic is carried outside organized religion. In the case of the Presbyterian assembly what tipped the scales was the presence of mainly young secular Jews who bore shirts with the slogan ‘Another Jew Supporting Divestment.’ Many of them were with Jewish Voice for Peace (JVP). Religious or not they have internalized the fact that Palestinian people have been deeply wronged in the creation of Israel and are suffering terribly under an unjust occupation. In June 2014 the Presbyterian Church (USA) voted to divest from three companies doing business with Israel:in the Occupied Territories. Caterpillar, Motorola Solutions, and Hewlett-Packard. The story hardly covered in our newspapers is a virtual primer on the role of the Christian church under advanced capitalism. In 2003 a young solidarity worker from The United States Rachel Corrie was crushed to death in Gaza as she tried to prevent the razing of a Palestinian home The spotlight was directed to the manufacturer of the Israeli bulldozer that killed her. Israel had been buying and “weaponising” Caterpillar bulldozers then using them to demolish Palestinian homes, build settlements and the separation wall, clear land to build Jewish-only roads, uproot olive and fruit trees, and carry out military operations. This gave impetus to the Boycott, Divestment and Sanctions Movement(BDS) which helped to bring down the quintessential apartheid state South Africa. It is a tried nonviolent measure to help bring countries to their senses. South Africa sensing that it had become a universal pariah for its racist segregationist policies finally capitulated. Nobody hated the country but disliked its awful policies. Remember at the time the Dutch Reformed Church was the voice of the the establishment. For decades it justified the unjustifiable. Once again bad theology produced bad practice. Many great Christians like Desmond Tutu, Beyers Naudé and the Catholic archbishop of Durban Denis Hurley distinguished themselves in this struggle. 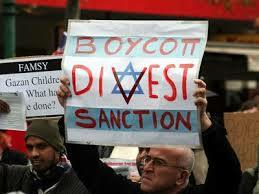 The contemporary South African Catholic Church apparently gets it and supports the present BDS Movement. They have the lived experience to fall back on. They supported BDS when it happened. They see a striking parallel, not an exact replica for sure but the same demonic features in Israel:L dispossession, racism marginalization and humiliation. True biblical discipleship demands solidarity not weak-kneed sympathy. It demands pastoral planning and calls to action. Both are missing in Toronto and New York inter alios. 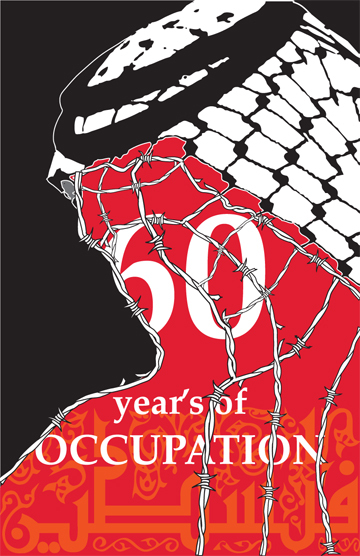 IAW seeks to raise awareness about Israel’s apartheid policies towards the Palestinians and to mobilize support for the growing Boycott, Divestment, and Sanctions (BDS) movement against Israel. From working the last several years in the media,I’ve gotten to know a lot of journalists.I’ve gotten to understand a lot more about how these large media outlets function. It really is remarkable, and not hyperbole, that there is nothing that makes major media figures and new executives more petrified than reporting on IsraelThe way in which they become so frightened to do any sort of reporting that could make what they call Israel’s supporters inside the United States angry cant really be overstated. Carter had seen it all and like the Hebrew prophets of old, he told it like it was: “an apartheid system was being created in the West Bank and Gaza, Palestinians are deprived of basic human rights, their land has been occupied, then confiscated, then colonized by the Israeli settlers….Israel’s continued control and colonization of Palestinian land have been the primary obstacles to a comprehensive peace agreement in the Holy Land. One of the persons who went ballistic was the frequent International expert” Janice Stein of the Munk Centre at the U.of T. whom apparently Steve Paikin on his show the Agenda can not get enough of, said that Carter must be insane to hold such views. Her experience in Gaza and Occupied Territories—zilch, nada. But she keeps appearing though on CBC and TVO as an expert. This event(the Suez crisis) is worth recalling as we today watch US President Barack Obama and his hapless Secretary of State John Kerry plead with Israel to stop massacring Palestinians in Gaza. What could be more pitiful than two of the world’s most supposedly powerful men imploring Israel to stop killing Palestinians with US-supplied weapons like F-16 warplanes and heavy 155mm self-propelled guns – which violates US Arms Export Act, though no one in Washington dares to admit this? Or resuming military payoffs to Egypt’s brutish military dictatorship to keep Palestinians locked up in the Gaza Ghetto? After five decades of patient work, the pro-Israel lobby now gives the US Congress its marching orders on the Mideast. The media in the US and Canada have largely adopted Israel’s narrative about the Mideast and Gaza. There is growing anger around the globe over Israel’s savaging of Palestinians, but Americans don’t see this. As the Arab death toll rises to over 1,000, the world is calling for an imposed cease fire and an end to Israel’s and Egypt’s cruel siege of Gaza. America is getting blamed for the horrors of Gaza. Washington should be able to demand that Israel, which is due to receive over $30 billion in US aid in the next decade, cease fire and open Gaza’s gates. Of all the vetoes cast since 1950 in the UN Security Council, the majority have been by the US to protect Israel from censure. Can Washington act to enforce America’s national interests and common humanity? Not likely. Israel has long timed its punitive assaults to sync with the US elections cycle. We are now in the penumbra of America’s upcoming November elections, and Israel knows it. Now’s the time, in Israel’s view, to crush Hamas into dust and tell foreign critics to go to hell. In fact, the Arab and greater Muslim world’s silence and inaction over the massacre in Gaza suggests that the Greater Israel expansionists may be right. 5.5 million Palestinians remain after all these years sand in the eye of the Mideast. Jim Manly, a man of sterling integrity, a retired United Church minister and former federal member of the NDP speaks a painful truth as did the great Toronto star columnist Haroon Siddiqui in Sunday’s Star. Liberal Leader Justin Trudeau and, to a lesser extent, NDP Leader Thomas Mulcair have fallen in line with Stephen Harper’s support of the Israeli onslaught on Gaza. None questions the Israeli killing and maiming of hundreds of civilians, including women and children. All echo the formulation that, given the barrage of (ineffective) Hamas rockets, Israel has a right to retaliate (bombing by air, shelling from the sea, mounting a ground invasion, levelling houses, hitting hospitals, mosques and schools run by the United Nations, and disrupting electricity, water and sewage systems). Manly, 81, is a two-term former NDP Member of Parliament. In 2012 was jailed for nearly a week in Israel after taking part in an international solidarity mission aboard the Estelle, which challenged the Israeli government’s blockade of Gaza. His son Paul frustrated at the Party’s failure to speak strongly about this criticized the party.No criticism allowed. It has become obvious that the former champion of the oppressed the NDP has been muzzled by leader Tom Mulcair. It has sickened many longtime members . Politico columnist Andrew Mitrovica pretty well summed up the political correctness in his column of July 20 (”Is Mulcair another Harper with a beard?”)He detailed the shocking elimination of Manly’s talented son Paul as NDP candidate in Nanaimo Ladysmith. The issue ISRAEL. The israel lobby hangs like an incubus even over the NDP. He turneth from the suffering of Gaza and standeth firm for Israel. His caucus and whip, they muzzle us. And we shall be covered with the shroud of silence forever. National Director Ann McGrath tried to stamp out this growing brush fire by assuring the faithful that Israel had nothing to do with with Manly’s rejection. Few bought the booswa. Taken together, the NDP’s decision to bar Manly from the nomination is absurd, cynical and, frankly, heartless — not the image the NDP has carefully cultivated for the past 50 years or more. 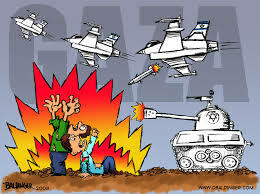 We are chagrined that the NDP has yet to speak out against Israel’s bombing of civilians in Gaza. These are war crimes, since it is clear that Israel has used its precision-guided missiles to target families’ homes, hospitals, schools, ambulances, and even a centre for disabled children. The horrific images coming out of Gaza should elicit strong and immediate condemnation from any individual or organization that is concerned about human rights. Why then, we are wondering, has the NDP failed to condemn these atrocities? Since Israel’s bombing of Gaza began last Tuesday, the NDP has failed to release any formal statement condemning the massacres that the bombing has caused. While we appreciate the NDP’s call — despite coming after a week of Israeli bombings — for a ceasefire, we are deeply disturbed by the NDP’s language in this statement. It is indeed lamentable to see the lack of courage here. But it is understandable. The “powers and principalities” which St.Paul wrote about, the “mysterium iniquitatis” (the mystery of evil) is evident when institutions, corporations and yes, political parties with noble intentions, seem to lose their bearings and begin to succumb to expediency, popularity, consensus, realpolitik. They are invaded by death. They lose fire and noble intent. The church of course is not exempt here, a point I will make in the future. The principalities seemingly have a life of their own, apparently autonomous from human control. Survival now becomes the raison d’etre and a political party, born of transcendent idealism becomes just another tired institution. 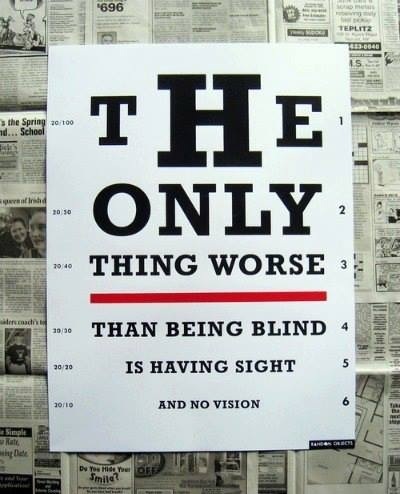 Where there is no vision the party perishes. After the Holocaust, no statement, theological or otherwise, should be made that is not credible in the presence of the burning children. For the great bible scholar Walter Brueggemann Jeremiah was the prophet par excellence, the one who saw with great clarity what his people had become. They simply refused to look. Amira Hass the brilliant israeli journalist is among the many Jeremiahs for her time. She implored fellow Israelis to see the ugly handiwork of the state—and it was only 15 minutes away. She lived among Palestinians saw the effects of the brutal occupation, relatives cut off from each other, from farmlands and markets, an ugly apartheid wall stealing even more land, a proud people forced to undergo humiliating checkpoints and 600 roadblocks, collective punishment, extrajudicial murder in a so-called democracy. She felt the the constant annexation and colonizing activity of “the only democracy in the Middle East”—in reality a state living in a dream world of its own fantasy.a country which has become a pariah on the world stage. Isaiah’s anticipation had come true. The “royal consciousness” of power and exclusion had, horror of horrors, become like Pharaoh’s court. The Mosaic revolution of the freedom of the slaves had been overturned and the slaves had now become the slave master. My grief is beyond healing. My heart is sick within me. (8:18). His beloved Israel is living in Disneyworld. the status quo is just great. The people have become numb. Denial is massive. Criticism must be faced before newness can break through. The covenant has been broken. 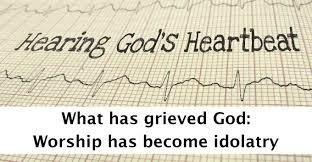 God is grieving. The only way through is to die to all the old lies, the truth of the Nakba, the dispossession of 750,000 people in 1948 and the theft of land post 1967. Another people on the same land must be embraced. Innocence and victimhood must be laid aside. False prophets of course are always with us, Stephen Harper and John Baird immediately come to mind. Those who parrot the stupidities of “what would you do if rockets were shot into your country”—no history, no understanding of the 50 year massive and unrelenting state violence which provokes a desperate response—pathetic rockets which have killed two innocents against precise guided missiles, drones, Apache helicopters, naval blockades and the arsenal of the fifthe strongest army in the world. Earlier we saw another Jeremiah—Naomi Wolf express her disgust with her synagogue’s silence. Sara Roy is another brilliant female Jeremiah, a senior scholar at Harvard whose parents were Holocaust survivors. as well 100 members of her extended family murdered in Poland Ms Roy has spent much of her academic life studying Gaza..
And now forty years later professor Greenberg’s famous statement which holds up in sickening tension the awful reality of burning innocent children sacrificed to political, military pompous obfuscation and warn out ideology. This time it is Palestinian children burning at the hands of Jews. George Orwell, where are you when we need you? The hearts have indeed become calloused. 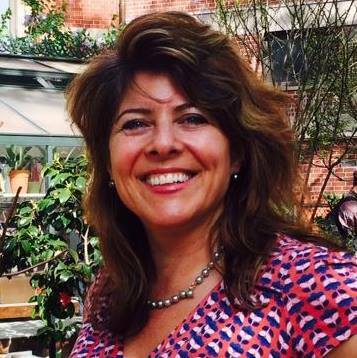 Noted American-Jewish feminist writer Naomi Wolf walked out of her synagogue when there was no mention of the Gaza slaughter. Naomi should not be surprised at this.Most rabbis would lose their job if they channeled Jeremiah or Amos.The real tragedy is the great damage to Judaism which occurs when it is conflated with Zionism.Torah should never coexist with occupation.One expects a cynical state to use religion. John Quincy Adams the sixth USA president knew this: Power always thinks it has a great soul and vast views beyond the comprehension of the weak and that it is doing God’s service when its violating all its laws. Constantinian Judaism is no worse than what passes for biblical faith in too many Christian churches. Rabbis answer to boards and few are strong enough or free enough to speak the prophetic word. Yet it is being spoken by so many “Jews of conscience”. They should give all of us hope. Challenged below for why I am mourning genocide in Gaza. I mourn genocide in Gaza because I am the granddaughter of a family half wiped out in a holocaust and I know genocide when I see it. People are asking why I am taking this ‘side’. There are no sides. I mourn all victims. But every law of war and international law is being broken in the targeting of civilians in Gaza. I stand with the people of Gaza exactly because things might have turned out differently if more people had stood with the Jews in Germany. I stand with the people of Gaza because no one stood with us. I went to synagogue last Friday night and had to leave because I kept waiting for the massacre of Gaza to be addressed. … Nothing. Where is god? God is only ever where we stand with our neighbor in trouble and against injustice. I turn in my card of faith as of now because of our overwhelming silence as Jews…I don’t mean Israelis, a separate issue…about the genocide now in Gaza. I want no other religion than this, that is, seeing rather than denying my neighbor under fire and embracing rather than dismissing those targeted with annihilation and ethnic cleansing. Though indigenous to the people Israel the prophetic like the covenant travels. The covenant cannot be equated with injustice Injustice practiced over a sustained period of time leaves the community without the covenant. Though the community claims the covenant hoping that the claim will protect the community from scrutiny the reality is the covenant travels to those on the margins. 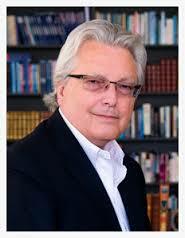 israel we know is a secular state and there are many Jews there and elsewhere. who do not see themselves as religious but like many Christians who do not attend services for whatever reasons, they have internalized something of importance.Occupation and Judaism are diametrically opposed. The Exodus is part of their DNA. The many Jews who have broken with “the royal consciousness”, the ethnocentric tribal Judaism, those who have embraced a prophetic consciousness have grown massively and are a cause of great hope. Like much of the civilized world they can no longer abide the continuing specter of Palestinians living under a totalitarian,all embracing and never ending humiliation. In a wired world the state lies of Israel are easily refuted. These Jews of conscience here and abroad have a continuous loop playing in their head—the war time shaved heads of their zeydas and bubbes, the horrific dehumanization of lost relatives. They are collectively saying, “Never again.” Case in point. in New York City on Tuesday, members of Jewish Voice for Peace and Jews Say No! occupied the office of the Friends of the IDF. Shockingly this nonprofit group raises money in the United States to send to the Israeli military. That’s right. supporting the military wing of an occupying power..;.and getting a tax break for it. These brave people read the names of the more than 600 Palestinians killed and demanded the group stop fundraising for the Israeli military. Nine people were arrested when they refused to leave the premises. Others protested outside the office. We are protesting against the war on Gaza, against this incredibly terrible assault on civilians, and protesting the fact that this organization right here is actually raising money for the Israeli Defense Forces, helping them, supporting the assault that they’re making on Gazan women, children and families. So we feel like it’s really important, especially as Jews, to make the statement that this is not in our name and that the Jewish community is not behind this assault in the United States and that they need to stop doing this immediately. I’m a former civil rights worker. I worked with SNCC for five years in the black liberation movement in the United States. Most of us have been to Israel and the West Bank and Gaza, if not once, many times, and we have seen for ourselves what the conditions are there. And it is totally unbearable to know that this country dares to even say they represent us and they speak for us. We are here to demand, as American Jews, that Friends of the IDF stop funding Israel’s massacre of Palestinians living in Gaza. Over the past two weeks, 621 Palestinians in Gaza have been killed. We are here nonviolently to do a civil disobedience. We mourn all who are lost, and we are reading the names of those who the Friends of the IDF have helped funded the IDF to kill. I was raised by two Holocaust survivors: my mother and my grandmother. And in their name, I’m here today to oppose the dehumanization of Palestinians, to oppose collective punishment. These were the things that they suffered and that they taught me to fight on behalf of everyone, not just on behalf of Jews. The great Hebrew Scripture scholar Walter Brueggemann in his classic work The Prophetic Imagination writes of the religion “of static triumphalism and the politics of oppression and exploitation. One of the The great gift of Judaism of course is the prophetic imagination, the holy cry against what he calls the “royal consciousness”. Now God safely resides in Jerusalem. Goodness and light are ours. The holy is owned by the king. There can be no cries against the royal consciousness. Those on the margin formerly brothers and sisters under the covenant, now have no voice. As one Jerusalemite told me, “Sometime the status quo is the best we can have.” It was of course a status quo which radically favoured him. He could not hear the cries of the oppressed. There was no chance of Newness breaking open his smug world of extraordinary privilege. The “economics of affluence” had replaced “the economics of equality”. The Mosaic moment of freedom from oppression had been totally obliterated. Here the prophet is ignored. No criticism is tolerated under Solomon. Or in modern Israel. So powerful has the royal consciousness pervaded the people that it cannot hear. As Brueggemann says of Solomon,”he has traded a vision of freedom for the reality of security”. He has replaced covenanting with consuming. Today Solomon lays on the beach of Haifa unconcerned with those imprisoned in Gaza. The royal propaganda then (and the hasbara now) cares not a whit for the questions of justice The prophetic apparently had died. Imperial economics had blocked out the cries of the denied ones. Brueggemann of course was writing largely about North American Christianity but it is obvious the same dynamic is operative in modern Israel where the insularity of power and smugness has resulted in “the annulment of the neighbour.” It seemingly cannot hear the anguish and the grief of everyday life 15 minutes from their doorstep. It wasn’t that long ago that another people swore they didn’t know what was happening. I say why are our memories so short Have our Jewish sisters and brothers forgotten their humiliation? Have they forgotten the collective punishment?, the home demolitions in their own history so soon? Have they turned their backs on their profound and noble religious traditions/?Have they forgotten that God cares deeply about the downtrodden? One wonders how a superpower like the USA can watch such barbarism unfold on a daily basis and continue to pay for it to the tune of $3 billion a year. And the lies are not simply trotted out in Israel. American and Canadian Jewish institutions leap into the breach in every medium possible to neutralize any criticism. Armed with talking points (”Israel has a right to defend itself, being the most egregious) these neo-tribalists act as living megaphones for Israel. All have little or no experience of the suffering of the Other. There is never any context. There is no historical memory, no need to go any deeper. It is intellectual slovenliness. Those who turned Gaza into an internment and punishment camp for 1.8 million human beings should not be surprised that they tunnel underneath the earth. Those who sow strangling, siege and isolation reap rocket fire. Those who have, for 47 years, indiscriminately crossed the Green Line, expropriating land and constantly harming civilians in raids, shootings and settlements – what right do they have to roll their eyes and speak of Palestinian terror against civilians? One wonders if these mannequins who buy the israeli drumbeat would have condemned the Jews of April 1943 who fought back with grenades against the Wehrmacht in the Warsaw ghetto. Did they have any right to defend their dignity as humans against a brutal occupier? How about the French resistance? And the ultimate question: Have you walked in these shoes. It’s the old gospel question: What is your location? Do you see the world through your comfort in Pharaoh’s court? Are your eyes those of the occupier or the occupied? Does blood and tribe trump solidarity with the oppressed? As Jeff Halper,a contemporary Israeli hero (http://www.icahd.org/) has shown how his country has mastered and sold the art of penning up people and customizing advanced weaponry and surveillance. The killing apparatus or as Pappe calls it the “incremental genocide” is always followed by crocodile tears and an ascent to the moral high ground. Zionism always has desperately wanted to be seen as l’or goyim a light unto the nations. But you can only put lipstick on a pig for so long. In the age of the instant communication, cell phones, international solidarity tours, the truth has slowly seeped out and many of the truth tellers have been Israelis themselves, “Jews of conscience” as theologian Marc Ellis has called them. So the violence that we’re seeing in Gaza is not just related to a particular military strategy; it’s also influenced by the ideology that has captured the hearts and minds of these young men who have learned to demonize the other and see Palestinians and antiwar and human rights elements as absolutely subhuman. It’s playing out unofficially through a vigilante campaign in Israel, but in Gaza what we’re witnessing is the official revenge campaign orchestrated by Netanyahu and the military. Downsizing the number of Palestinians all over historic Palestine is still the Zionist vision. In Gaza, its implementation takes its most inhuman form. Here we have a civilian populace with no army to defend itself at the mercy of lethal hi-tech murder and we have to listen the glib justification of military commanders in perfect English defend the indefensible and legitimate such indiscriminate bombing. Israel is not to blame. It is all Hamas’s fault. F-16 fighters and drones descend on these “pathetic ducks in a barrel”. They have no bomb shelters, literally nowhere to run or hide in an overcrowded urban center. They cannot leave; all exits are barred. They have no Iron Dome anti missile system. It is all Hamas’s fault. The pathetic home-made rockets are simply the crazed behaviour of an oppressed people encased in steel. They are the furious howl of a people without hope. This response has simply given israel another chance at “the incremental genocide”(Pappe) Goliath is waging on David. And the US keeps sending $3 billion a year as settlements grow and more Palestinian land is eaten up and international law is defied. US elections are on the horizon and money easily trumps cheap Palestinian blood. Among the Nobelists were Archbishop Desmond Tutu, Adolfo Peres Esquivel, Jody Williams, Mairead Maguire, Rigoberta Menchú and Betty Williams. One wonders where is the prophetic voice of religion.